In the space of 10 minutes is it possible to talk of inclusive aviation, of gender equality within aviation, of all that is most dear to our hearts? In the space of 10 minutes it is impossible not to speak of that we hold most dear In the space of Bigatmo’s website how can we not discuss Aviation? For it is all around us through the history of aviation, through great pioneering aviators, through your hearts, your souls. I am a survivor. 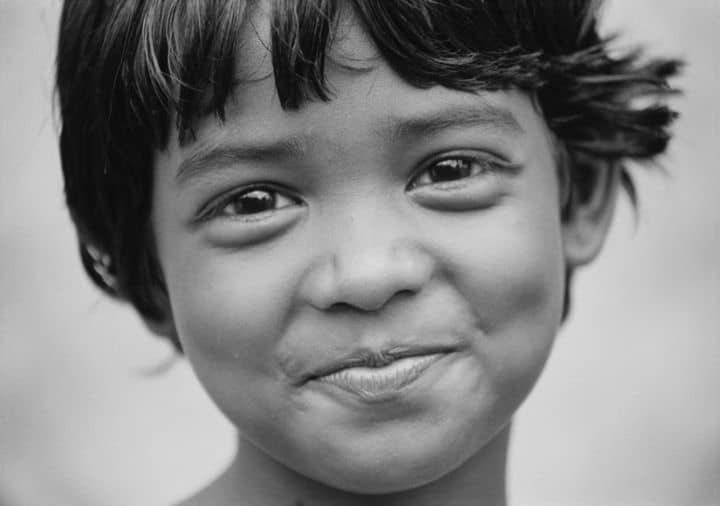 A polio survivor. My life with polio started when I was a small boy in India aged about 18 months, of the poor, industrial twin city of Kolkata & Howrah. I was born in 1977, although there is no official record of my birth, I survived polio – at a time and place when 1 in 5 children were dying of the virus. Today, I have no memory of my birth mother or father or of anyone in my original family. Possibly because I had caught polio and was paralysed, possibly because there was no money, my mother or father or indeed my grandmother were unable to look after me properly and took me to Mother Theresa’s orphanage. It must have taken a lot of courage and mental strain to do that for me. One of my strongest memories from the roof of Mother Teresa orphanage is kite flying and in looking up at the sky, I also saw the contrails left by jet planes. 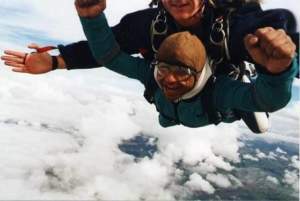 I longed to be on one, to feel the freedom of flying in the air, no post-polio paralysis to hold me back. I shall also never forget the day I first saw an aeroplane and then flew in one as I left Kolkata. 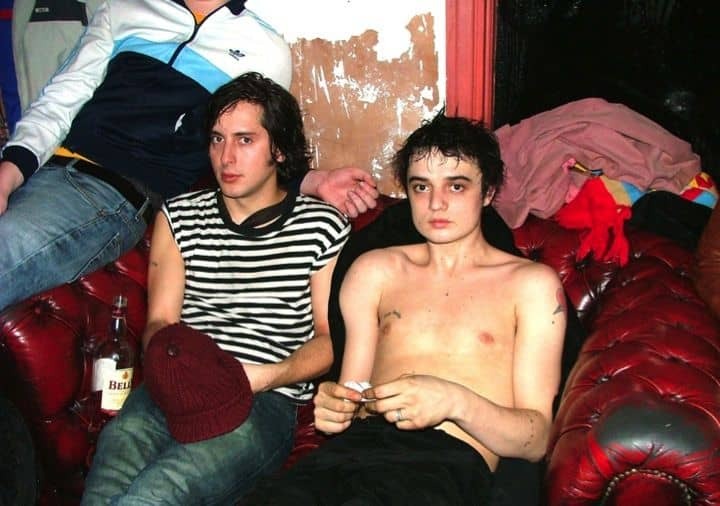 Pete Doherty. The Libertines days. 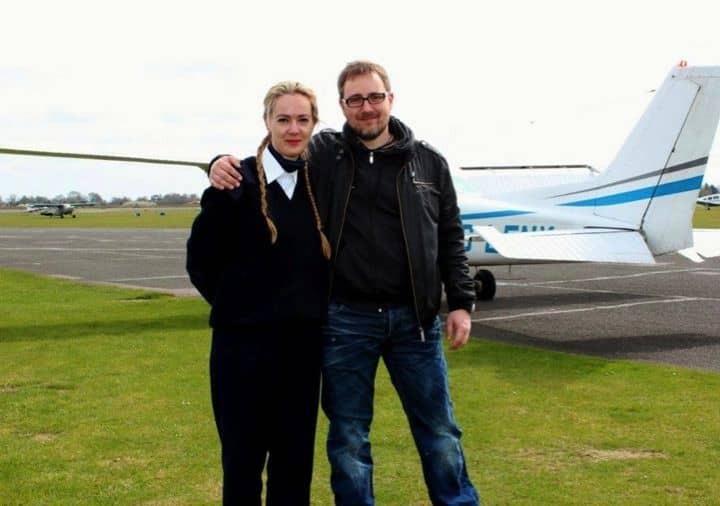 Before my path took me towards aviation, I undertook the full management of some famous bands including Pete Doherty and his band, sorting out tours, recordings and contracts – and anything else that needed sorting such as bailing out from jail. It was because of Pete that I turned my energies towards new pastures I have always wanted to be a pilot and I qualified in September 2007. This dream of mine was made real. I now have over 500 hours (but still a baby pilot) hold IMC Rating, a Night Rating, and a class Rating for the complex PA28R with thousands of miles of touring under by belt flying across Europe. Currently I’m trying to find the time to finish the Single engine IR rating. During my pilot training days, I felt alive and felt a sense of freedom, of being liberated. I started to have new dreams and visualise my future where I wanted to help change peoples lives, if not try and change the world. Learning to fly is a great way to change people’s lives, building confidence and re-igniting self-belief. 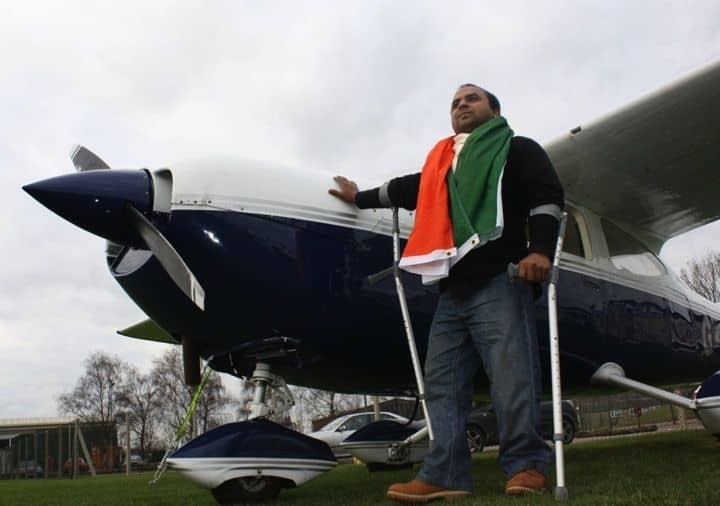 For many people with disabilities, flying an aeroplane is empowering. 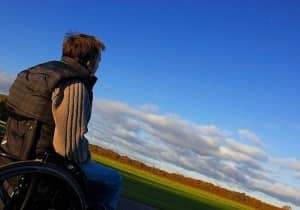 People feel free, liberated from their disability with nothing to hold them back. There are no differences between disabled pilots and able-bodied pilots. In the air, everyone is equal. I was privileged to have been trained by some amazing instructors – from RAF fighter pilots, Commercial pilots to the Chief Pilot of the British Antarctic Survey. I was in awe of how brilliantly they work and think. In the UK, we have many fantastic organisations promoting inclusive aviation – not perfect of course – but fantastic. So I started Freedom in the Air (FITA) 5 years ago, because I saw a different way to promote inclusive aviation and to inspire change around the world. So what do we actually do? 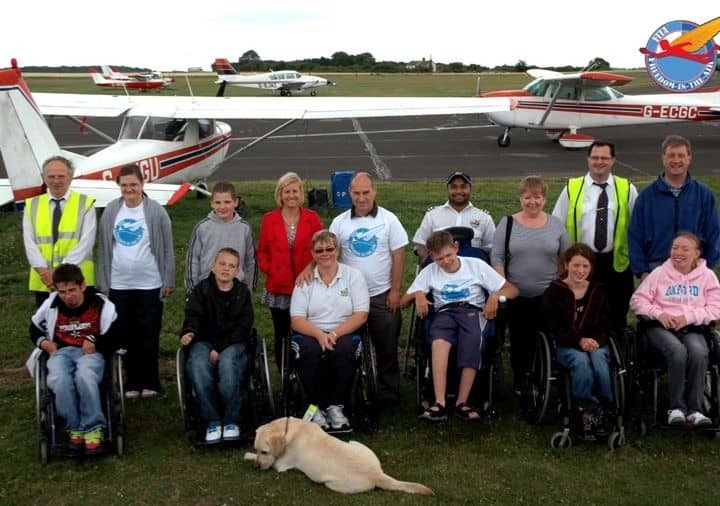 Well, we’ve provided over 600 people with a range of disabilities complimentary flying lessons from Cranfield Airport. We’ve trained numerous full PPL students from around Europe, within 53 hours of flight training. We’ve provided a couple of full-flying scholarships. With more to follow next year, 2015 and 2016. We have a fleet of C152, C172 and PA28, all fitted with the older approved hand controls, including the complex retractable PA28, which we use for commercial flight training courses, therefore offering disabled people more choice as to what and where they can fly. The Freedom control, which will be certified in all EASA member countries, plus North America, will have its official launch next year. It is almost impossible, today, for disabled people to buy the older hand controls. Our hand control solution has been designed for both the Cessna and Piper range of up to 12 aircrafts. These have been approved as a pilot equipment, like headsets are, so there will be no need for engineers to install them, further reducing costs to the disabled aviator, or flying school. We are Making it happen, together! Our vision is to create the opportunity for people with lower limb disabilities to learn to fly. The aim is for all disabled pilots to achieve a Private Pilots License (PPL) through progressive and professional instruction. The Freedom control will be the first of its kind and a great milestone in pioneering aviation for disabled people. Indeed, since working on this project, Cranfield University is now teaching all its MSc Aerospace engineering students to design cockpits that can accommodate both able bodied and disabled pilots for the next generation of commercial aeroplanes. We aim to produce 50 units and promote the Freedom controls by providing them free of charge to a selection of flying schools that are keen to promote disabled aviation and make GA more accessible. Fifteen flying schools have been identified for this initial free distribution. A few weeks ago, we completed the ground tests for the world first portable multi-engine aeroplane hand control system, based around the Piper PA44 Seminole. With this enabling technology, we will be able to offer disabled student pilots the chance to achieve a Commercial Pilots Licence, with a Multi-engine, Instrument rating, and or a Flight instructor rating should they be able to get a class 1 medical. We will be launching the Freedom Multi control at the Rio 2016 Paralympic Games. Birchwood. A place that enables change. 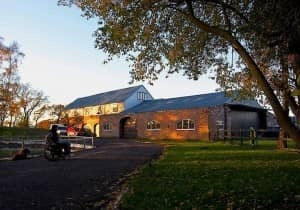 The unique aspect to Birchwood is that it has been designed and built applying concepts of Universal design so both able bodied and disabled people can work alongside each other and benefit from the set up. From making adapted aeroplanes to flying them. Birchwood will become the production facility to manufacture the Freedom Controls and distribute them around the world. Birchwood has not only designed the production facility to be accessible but also the residential accommodation. Next year you can watch a channel 4 documentary about one aspect of Birchwood’s set-up Flying is one of the few activities where people with physical disabilities can participate to the same degree as an able-bodied person. The exhilarating experience builds confidence and self-esteem. This, in turn, empowers people to explore their potential by extending their personal boundaries. 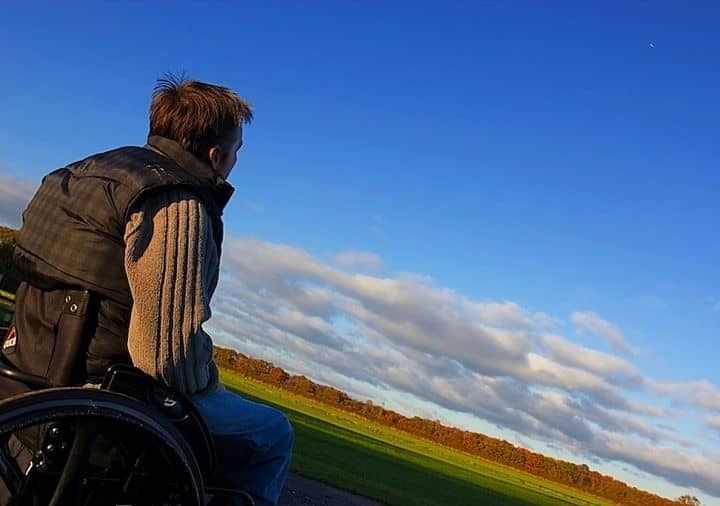 The first ever World Report on Disability, produced jointly by the World Health Organization (WHO) and the World Bank, suggests that more than a billion people in the world today experience disability. People with disabilities have generally poorer health, lower education achievements, fewer economic opportunities and higher rates of poverty than people without disabilities. 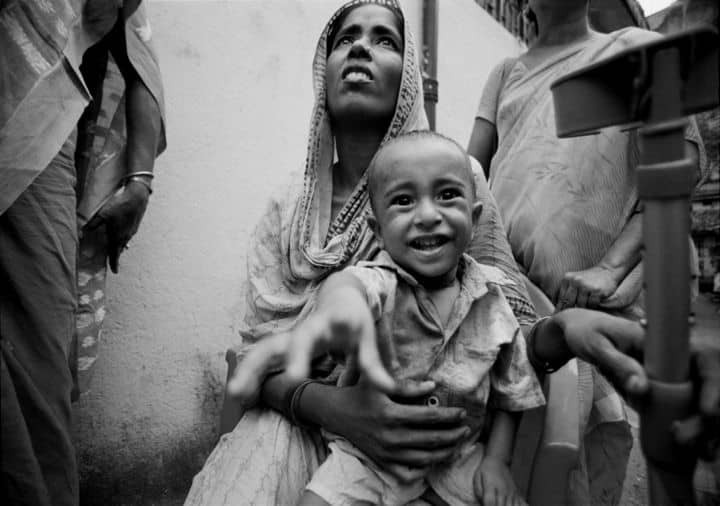 This is largely due to the lack of services available to them and the many obstacles they face in their everyday lives. Nathan works at Birchwood, himself in a wheelchair but that doesn’t stop him from making aeroplanes and why should it! 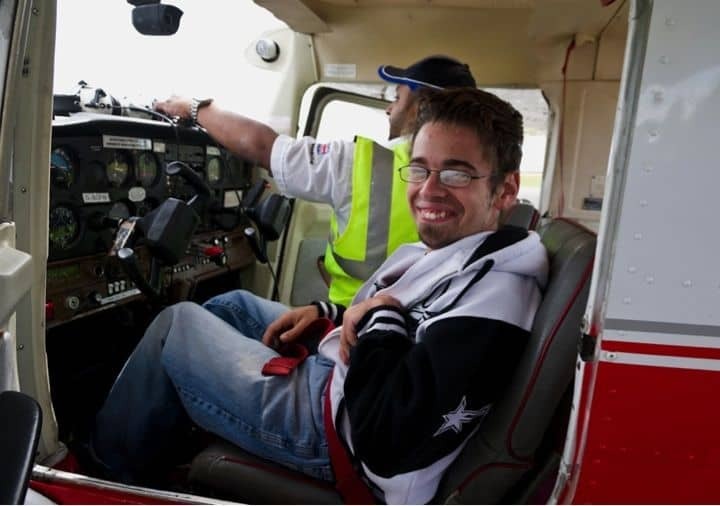 It is realistically possible for a person with disabilities to obtain a Commercial Pilots Licence (CPL) and therefore get the necessary training to be employable and find employment as a pilot. 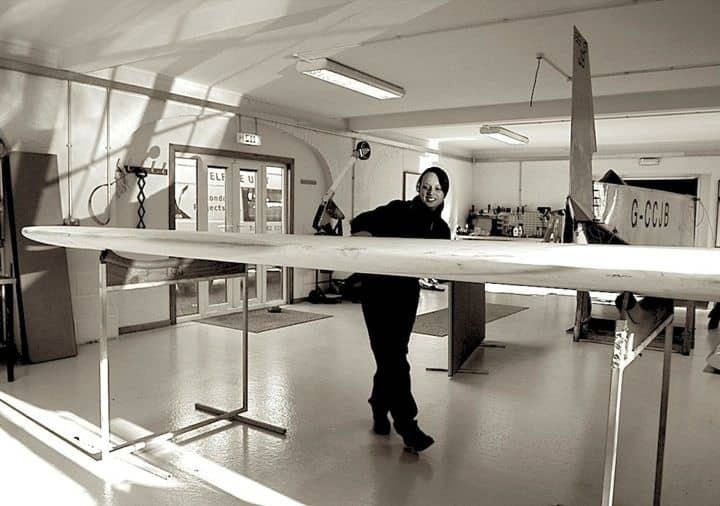 Therefore we have a large international alliance offering the services of our social enterprise to the untapped global Market potential for inclusive flight training, a build centre making adapted aeroplanes, from as far as China to Brazil, and the uk to the Arab world. We are only as strong as the partnerships we create. By working together we intend to show that anyone can reach for the skies, and achieve virtually anything, sometimes with only the very smallest amount of support. As humans, we create. Creation is the gift of the Universe — it is for creation, that we were all created. And yet, the greatest inequality in the Universe is that between creation and destruction. The effort, the energy that is put into creation is enormous. Think how long it takes to create a human being, a child, and an adult. It has taken 21 years thus far to make my sister who she is, FITA has 5 years of creation to date and yet each of them could be destroyed in a matter of seconds by the inequalities that still exist in the world today. Though great progress has been made towards making aviation more inclusive, gender equal and accessible, discrimination still exists. Freedom in the Air will remain focused on continuing to work towards progressing worldwide attitudes until equality for all is achieved within all sectors of aviation. This is an urgent matter, and it requires our attention. It requires our creativity and it requires all of us in this room, in this city, planet, to work towards a common vision of a world where human inequality has no place. It takes us so long in our labour of love to create beauty, it takes hatred so little time to destroy. So as aviators, as humans with humanity in all its grace, we must be on a path of constant vigilance to nurture creation and prevent its destruction.